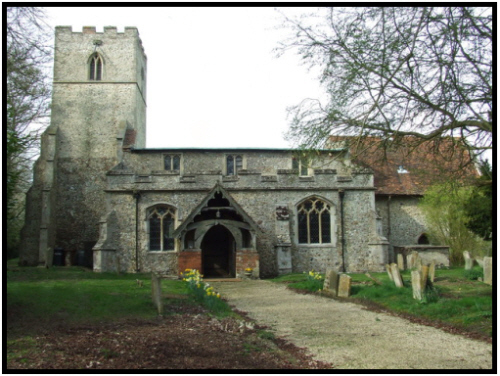 Sidney Hempstead was born in Stradishall (Risbridge Q4-1893 4A:675), baptised in St Margaret's, Stradishall on 1st October 1893, son of Walter and Ada HEMPSTEAD (née WHITEROD). 1901 census... Aged 7, he was at The Street, Stradishall with his father Walter HEMPSTEAD  farm labourer born Stradishall; his mother Ada  born Denston. 1911 census... 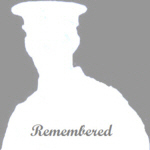 Aged 17, farm labourer, he was at The Street, Stradishall with his parents and grandmother Martha WHITEROD  widow, born Brockley. Sidney was an only child. 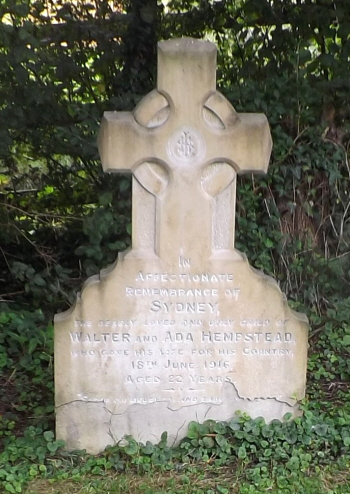 Sidney died in Royal Herbert Hospital, Woolwich. So far it is not known if this was due to wounds or illness. 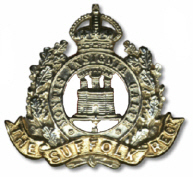 Possibly illness, since the 13th Battalion was a Reserve Battalion and never went overseas, simply supplying personnel to other battalions. The fact that no medal index card has been found most likely means Sidney was never posted abroad. This Military Hospital was founded by Sidney Herbert, the man who sent Florence Nightingale to the Crimea. Since 1995 it has been a residential complex.